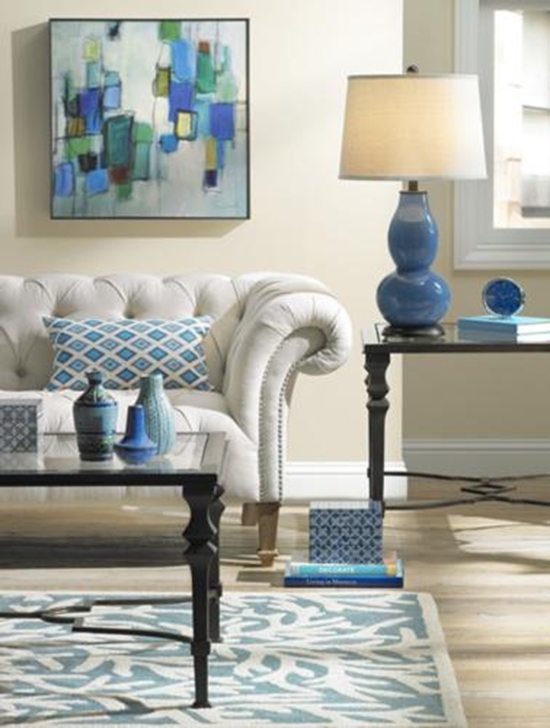 Table lamps play two different roles in your home: functional and decorative; so when it’s time to select a table lamp there are several things you need to consider. When choosing table lamps, both shape and style need to be taken into account so that the lamp will fulfill your lighting needs and work with your decor. Size is also incredibly important. Problems can occur when table lamps are too tall or too short — you will either be blinded by the glare of a too-tall lamp, or the light coming from the lamp is too low to be of any use as task or ambient lighting. 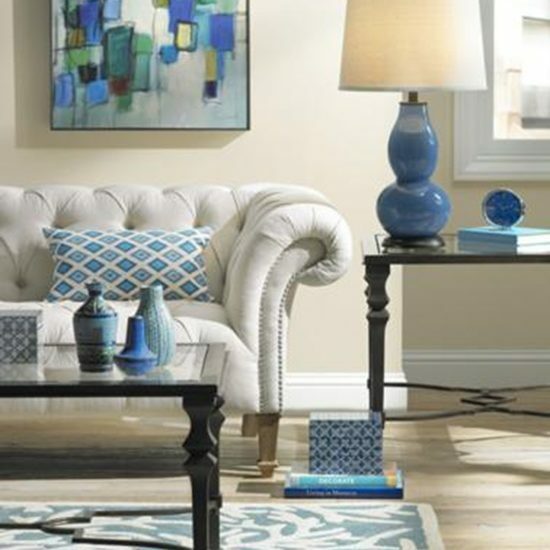 On a side table in a living room, the base of the lampshade shouldn’t be higher than your eye-level when you’re sitting down. 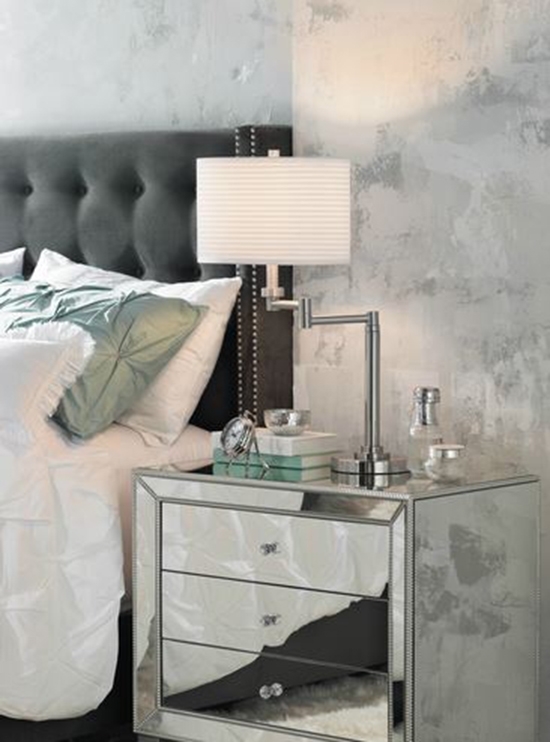 For bedside table lamps the base of the shade should be about 20″ above the top of the mattress. A table lamp that’s 26″-28″ tall (including the shade) usually fits the bill perfectly. No matter if you are sitting or standing, you should never be able to see the neck of the lamp or the bulb, if you can, you have the wrong lamp and lampshade combination. The scale of the lamp is another important thing to keep in mind. A small table lamp will be lost in a large room with appropriately scaled furniture. At the same time, you don’t want to put a large lamp on a small, delicate piece of furniture – it will look totally out of balance. 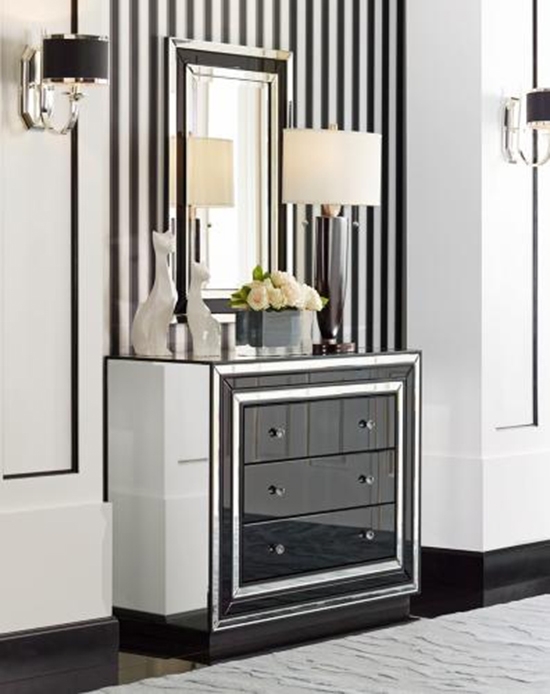 Large table lamps look fabulous on a console in an entryway. They also work well on a sideboard in a dining room when there are no sconces on the wall above it. An important thing to remember is that statement-making large table lamps create distinct focal points, so make sure you want to draw attention to where you put them. To learn more about how to find the perfect table lamp, read our official guide on How to Buy a Table Lamp.